I have a few questions and I hope someone could help me. I want to repaint the car as the paint on it was done very badly. What color do you recommend to be a great color for these cars? I don't know what the original color was or its coding. All the rubbers on the car are no good. Where can I buy door, window, boot and all other rubbers? The gearbox lever seem to be moving all over the place. There is something that's not right. Any suggestions and where I could find parts to fix this? If I don't restore this car I may mod it which is what I want to avoid as I would rather sell it to a collector that would appreciate it, but I don't even know what they are worth. 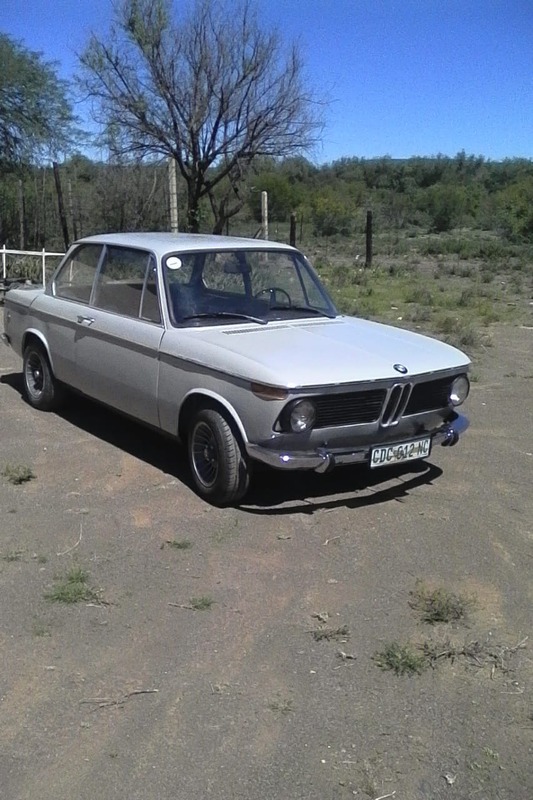 I am in South Africa and this car was stored in a barn for the last 3 years on a farm that is next to the desert so there is no corrosion. Sorry for all the questions, but I am a bit lost on this one. They show up in the strangest places, it seems. Getting parts in the Kalahari will be a challenge, to say the least, but Walloth & Nesch can ship most all the parts you need from Germany. I see the car has the embossed nose trim... that is very difficult to find, take good care of it. Congratulations on your find! As Ed said, posting on the 2002 general discussion forum is your best bet. You should also send an email to BMW (info.grouparchiv@bmwgroup.com) and request the build history of your car. They will reply with the date of manufacturer and delivery, as well as the original paint color and code. Good luck! If you have a dealership you can order a great bulk of parts from them. Perhaps you could save on shipping this way. I once ordered a whole nose panel from my local BMW dealer. Shipping was on their own expense. You can email info.grouparchiv@bmwgroup.com your VIN number and they will reply with delivery information and original paint color. From the pictures your car looks like Bristol (grey.) an original color for early 02’s. Email your VIN to info.grouparchiv@bmwgroup.com and they will provide the build date, original color and where it was originally shipped to. It's not often someone gets to say this before Steve ! Please post more pictures if you can. Get a hold of these Guys in Cape Town South Africa.